I probably think about this verse as much, or more, than any other verse in the Bible. God created men and women to glorify Jesus. Jesus receives glory through worship. Worship is most deeply expressed through relational, intimate love. Relational, intimate love manifests itself through a beholding gaze – a mother beholding her newborn, a husband beholding his wife. Paul writes, “And we all, with unveiled face, beholding the glory of the Lord, are being transformed into the same image from one degree of glory to another. For this comes from the Lord who is the Spirit” – 1 Corinthians 3:18. In other words, we become like that which we gaze at. What are we gazing at? If we desire to be transformed into the image of Christ then we must behold him, transfixed on his glory. But first we must see him, for it is necessary to see before you can behold. How can you see that which is invisible? Again Paul writes, “[Jesus] is the image of the invisible God, the firstborn of all creation. For by him all things were created, in heaven and on earth, visible and invisible, whether thrones or dominions or rulers or authorities – all things were created through him and for him” – Colossians 1:15. Physical eyes saw Jesus. And that was a blessing for those who had the privilege. 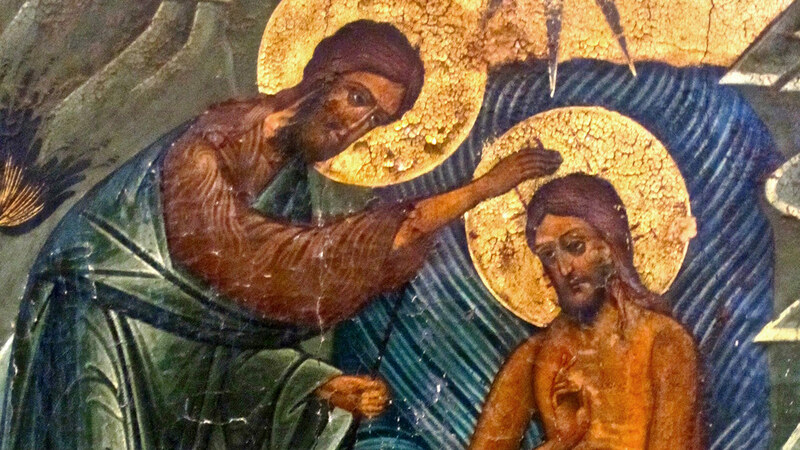 Purity was not necessary to see Jesus’ body. Both those who accepted, and those who rejected him, saw Jesus. But not all who saw beheld. Don’t just see him – behold him. Gaze at him and become like him. To behold is to gaze with the eyes of your heart. What is our heart beholding? Since we were created for the glory of God, accomplished through worship, which is walked out through intimate relationship and a beholding gaze, then it is clear that we are indeed meant to see God. And we cannot see him without faith. Faith is not a belief in nothing; faith is a belief in, and obedience to, the Word of God. David wrote, “The commandment of the Lord is pure, enlightening the eyes” – Psalm 19. This sounds very similar to “Blessed are the pure in heart, for they shall see God.” David is saying that in order to see (eyes enlightened), we must obey God (the commandment of the Lord, which is pure and which is also faith). What then is a pure heart? A pure heart is a heart that has been cleansed by the blood of the Lamb. A heart that has been so cleansed has been bought by God, ransomed by his son, and belongs completely to him. A pure heart is a heart that has been cleansed and adopted, forgiven and renamed. A heart that has had so much accomplished in it – not by its own strength, but by the strength of its God – is a heart that can obey the pure commandments of God. A heart that obeys the Word is a heart that is enlightened. An enlightened, pure heart can see that which is invisible, because this purified heart has faith. And this heart that sees, is invited to behold and to be transformed in the gazing. We live in an age where obedience is seen as weakness. If you are obedient then you don’t have a will of your own. How utterly ridiculous and stupid! Obedience is the ultimate posture of strength. Anyone can choose to walk his or her own path – that is easy. No wonder we struggle so deeply with faith. Faith cannot be divorced from obedience. Faith is obedience to the Word of God. Blessed are the pure in heart, for they shall see God. And they shall gaze at him. They shall behold him. And he shall transform them into his glorious image.